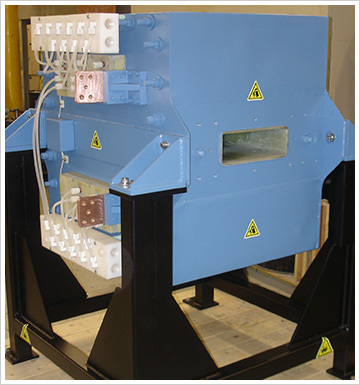 Our facility is equipped to handle the most demanding magnet and coil manufacturing projects. 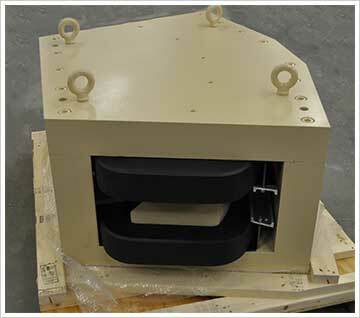 We have the capability to manufacture products from a few kilograms to over 10 metric tons with very tight tolerances. Our facility is equipped with numerous CNC lathes and milling machines, large capacity horizontal boring mills, water-jet cutter, horizontal and vertical winding machines, large volume vacuum chambers, world-class paint capabilities, and full-scale electrical testing. TechniCoil employs lean manufacturing principles and constantly seek to improve quality and efficiency. We continuously invest in our facility. Implementation of ISO 9001 certification is scheduled to be completed in 2018. TechniCoil is committed to protecting the environment and ensuring the safety of its employees in the workplace. Understanding the influence and impact of our activities, we strive to achieve Environmental, Health, and Safety excellence. TechniCoil is committed to excellence for every job and every project we handle. We stand behind this pledge with a one-year 100% guarantee on everything we make. We ship our products anywhere worldwide. We design customized containers – using ISPM-15 certified wood for international shipping – to securely hold and protect each finished product until it reaches its final destination.